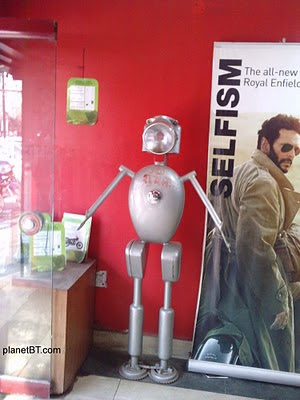 Royal Enfield Bullet and experiences: Royal Enfield Robot or Art ? Remarkable! Captures very nicely the "face" of the Enfield that seems to greet you as you approach from the front, like a familiar friend.